Happy Friday loves! Sorry my posts have been kind of brief and sporadic. This has been a super crazy week at work! But woohoo--it's almost the weekend. 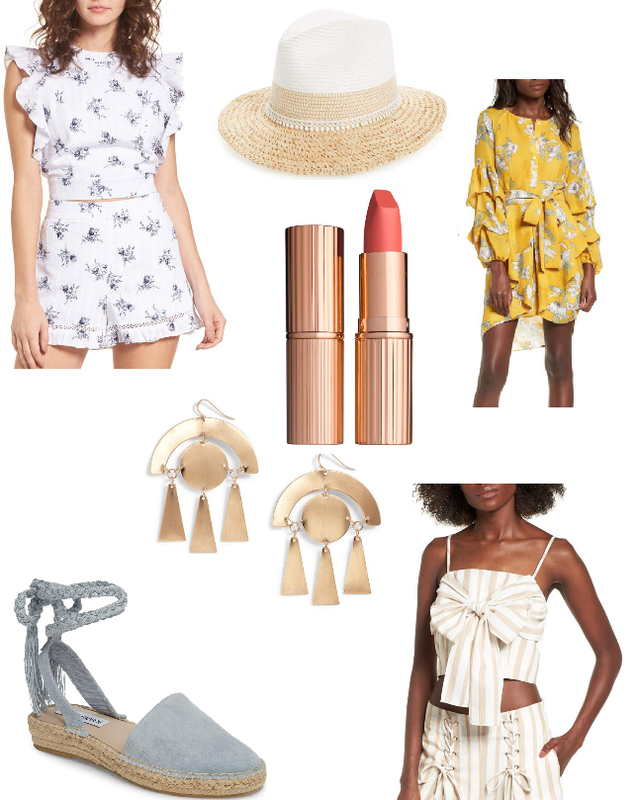 Just wanted to share some items I'm majorly crushing on in my cart right now! Nordstrom has just been stealing all of my money lately with their cute spring items. The newest Chriselle x J.O.A collection is seriously gorgeous. I want everything! No wonder dear you’re crushing. That yellow dress and blue espadrilles need to be in my closet. Have a great weekend! Ah so many cute pieces! Lovely picks dear, especially the floral set. Perfect outfit for spring!